1. Madrid is a really open city. Nobody is a true “madrileño” but everyone feels like home here. It’s so easy to make friends in Madrid. We always get some “cañas“ in a bar or on a terrace. Everyone lives outdoors and the streets are full of life all year. Madrid is, definitely a happy and easygoing city. 2. Madrid nightlife is really famous. The city never sleeps. Clubs open almost all night and each neighborhood has a different style of music. If you like rock you have to go to Malasaña neighborhood. If you like alternative music you have to go to Lavapiés. If you like comercial music go to Huertas. If you are looking for a LGTB atmosphere Chueca is your neighborhood. 3. Madrid is full of culture and history. The best museums and theaters of the country are in the city. There is a neighbourhood called “Barrio de Las Letras“ where all the famous writers live in the past times: Miguel de Cervantes, Góngora, Quevedo, etc. The fastest and cheapest way to get from the airport to the city is to take the metro. The journey takes about 20 minutes. A one- way ticket costs 5 euros. 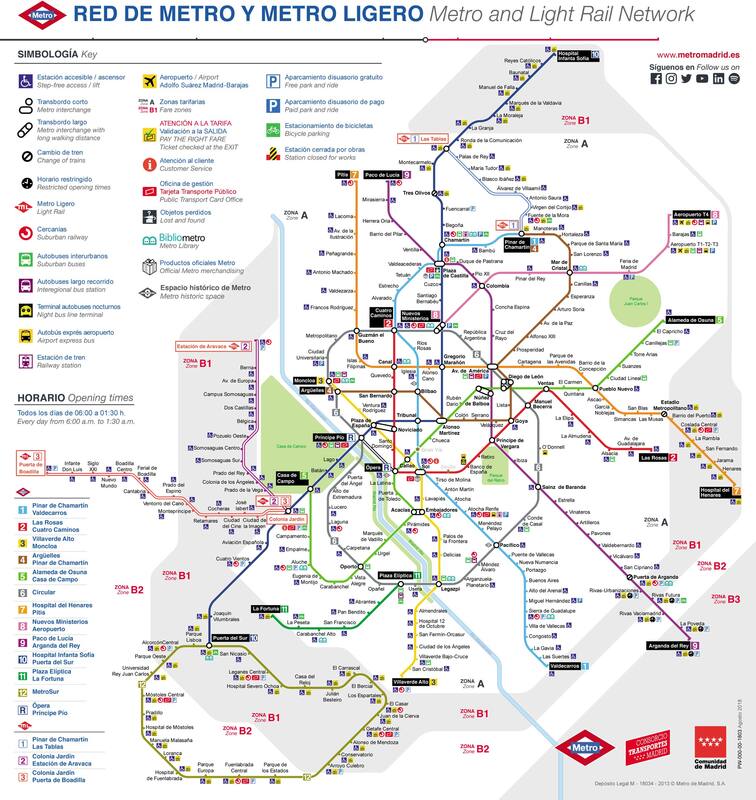 To get around the centre of Madrid, it is best to walk. The best way to get to know the city is on foot, observing its incredible buildings and charming streets. However, if you want to explore the outskirts of the city, it is best to use the public transport network. If you're going to be in Madrid for at least two days, it's best to take a 10-trip ticket. It costs 12.20 euros and you can travel 10 times by metro or bus. And if you only want to make one trip you can buy an individual ticket. It costs between 1,50 and 2 euros. Depending on your destination is one price or another. But first you must have the Multi card or buy it in the same machine of the station (it is red and has a price of 2.50 euros). Or if you prefer you can travel by bus, the individual ticket costs 1.50 euros. The specialties of the city are: tapas, patatas bravas, tortilla de patatas, croquetas, cocido madrileño or sandwich of calamares a la romana. Madrid is full of restaurants with food from different Spanish regions such as: restaurants with typical food from Galicia, Andalusia, the Basque Country, Asturias, Valencia, and so on. Beer is typical in Spain. Especially the Mahou. It is very typical to ask for some "cañas" in a bar. It is the smallest size of beer sold in bars and is usually accompanied by a free tapa. Depending on the place it will be bigger or smaller. In Madrid there is a lot of custom of going out of reeds and tapas. Wine is also very typical in Madrid. Rioja and Ribera del Duero are the most famous red wines, while Rueda or Albariño are the most famous white wines. In Spain it is very typical when you go out at night to order a "cubata", which is a mixture of some soft drink with alcohol, such as vodka or rum with a soft drink such as coca-cola or red bull. Hours of lunch: lunch: 14.00-15.00, dinner: 21.00-22.00. Taxi ride: Minimum fare: 2.40 euros. Price per km: 1.05 euro. Price from Madrid to the airport is 30 euros. If you like rock and small pubs you have to go to the neighborhood of Malasaña. There are plenty of places to explore: Sala Barco, Corazón, Sala Maravillas, Pachá, El Penta. If you prefer alternative music, the perfect place to go out is Lavapiés. There are plenty of small modern and traditional bars at the same time. You can start the night with some tapas and some cañas in a bar in the area and then go to a pub. You have many options to choose from: Amor Voodoo, La Huelga, El Económico, La playa de Lavapiés. For people in their 30s or 40s who are looking for a quieter environment, the Latina neighborhood is the perfect place. This neighborhood is full of reeds and tapas bars. On Sundays La Latina is full of party people during the day. If you are looking for a great nightclub, you have to go to Capital in Atocha. This disco has 7 floors with different types of music in each: international, Latin, rock, pop. The shopping area is in the city centre, between Calle Fuencarral, Calle Preciados and Gran Vía. 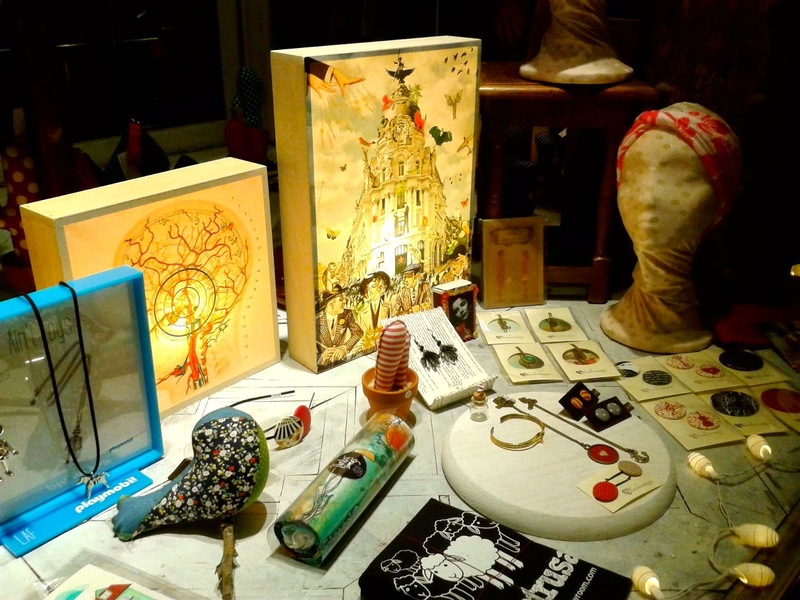 It is also a good idea to go to the Malasaña neighbourhood, where there are many second-hand shops, in Velarde street. If you are looking for a shopping centre in the city centre, you can go to Príncipe Pio. And if you are looking for a great outlet you have to go to Las Rozas Villa. It is an artificial village with small houses in which there are small shops with clothes of big brands at low prices. - Alcohol is not allowed to drink in the street unless it is in a terrace. - If you are being offered beer for 1 euro on the street note that they are not safe to drink them at your own risk. - When approached at night in Sol offering free entrance to a club make sure the people who offer you the flyers are from the official ones. - When using the electric stairs in the metro, stand on the right side to allow people walk up and down through the left side. You have free wifi in the airport, bars and restaurants. Some kiosk in the center have free wifi. Also every public bus and bus stop in Madrid center have free wifi. 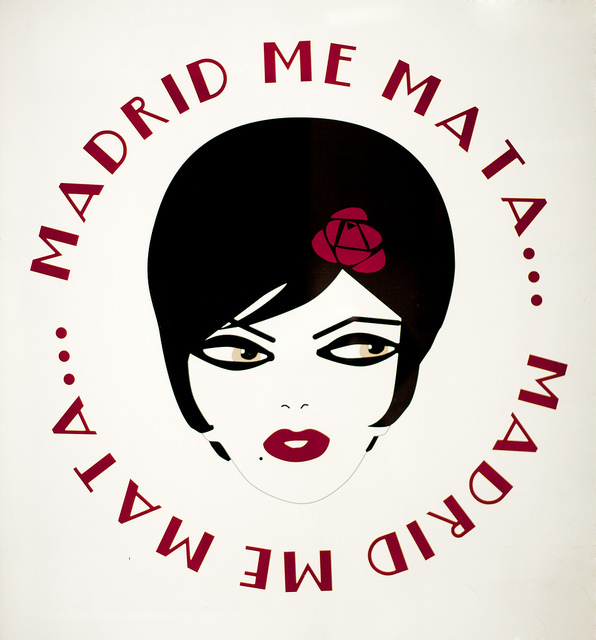 "La movida madrileña" was a social and cultural movement that made Madrid very famous, especially the Barrio de Malasaña in the 80's. The youth was revealed against the established order through rock and punk music and the outlandish looks. Take a bit of Madrid history with this original poster. Spain is full of creativity. Take with you a souvenir made by Spanish designers, unique, special and with a lot of Spanish character. Spain has one of the best olive oils in the world. 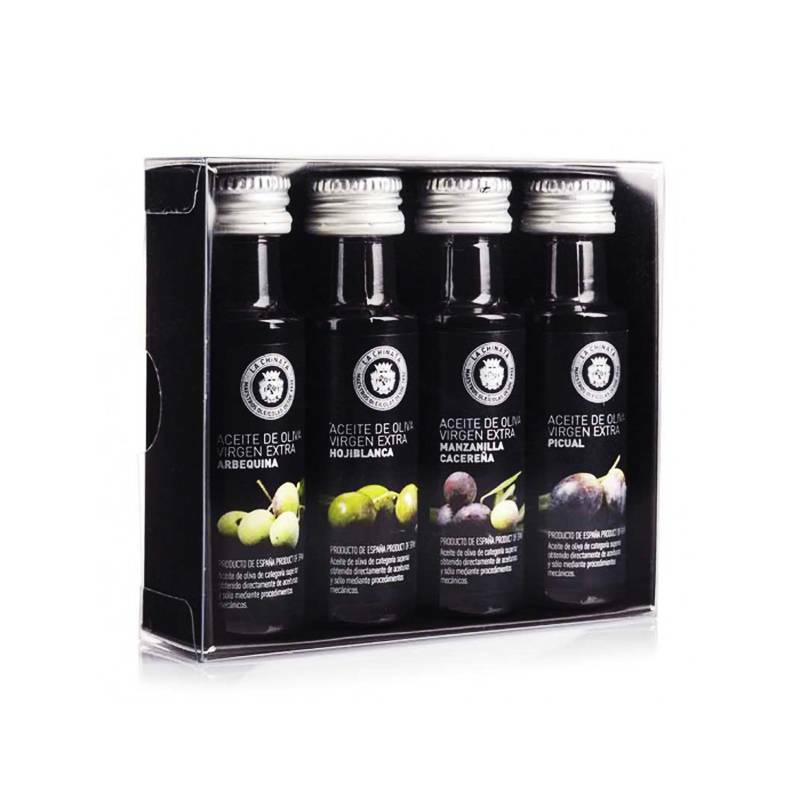 Your family and friends will thank you for giving this pack of different olive oils from La Chinata. All of them are eco-friendly and with a suitable size to carry on the plane.